Another picture to give some perspective to the sun viewed through the fire smoke in N. California. This is captured viewing the Sun up in the sky with some cable and telephone wires in the foreground. Magic composition and a great shot. Those fires are terrible, we've had lots of media coverage here about them. Some of our firies have gone over to lend a hand. 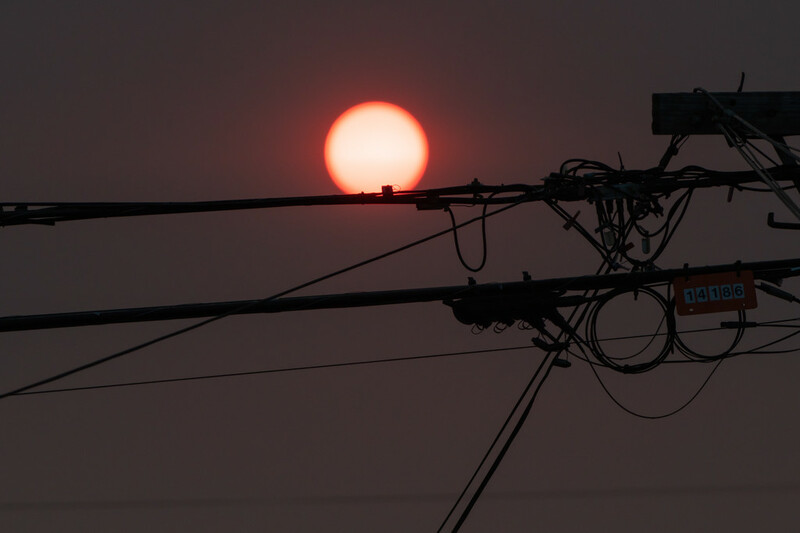 So neat how the sun seems to be balanced on the wire. Great composition.So sorry to know about those devastating fires.